Based on one of the most popular and best-loved Christmas films of all time, classic musical MIRACLE ON 34th STREET will return in 2014 following last year’s UK Premiere, opening at Fairfield Halls, Croydon on Saturday 1 November 2014 prior to a UK Tour. On sale now. Based on the 1947 motion picture, Miracle on 34th Street is the heart-warming story of Susan, a young girl who dreams of a father and brother to make her family whole, and Kris Kringle, a kindly old bearded man who claims he is the real Santa Claus. When employed as a Santa at a department store grotto, Kris quickly spreads a wave of love through New York City, but can he help make Susan’s wish come true? This dazzling musical adaptation is an uplifting family tale of battling cynicism and learning what it truly means to believe. Miracle on 34th Street originated as a 1947 motion picture starring Maureen O'Hara, John Payne, Natalie Wood and Edmund Gwenn. The film became a perennial Christmas favorite, winning three Academy Awards and nominated for Best Picture. The stage version, originally entitled Here’s Love, opened on Broadway in 1963. A hugely popular remake of the film was also released in 1994 starring Richard Attenborough as Kris Kringle. The cast features James Murphy as Kris Kringle, Inez Mackenzie as Doris, Ceris Hine as Susan, Jay Rincon as Fred Gaily, Robert Hannouch as Shellhammer and Craig Berry as R H Macy. The cast also includes Jodie Steele, Michaela Cartmell, Emily McAvoy, Scarlett Courtney, Stephanie Willson, Faye Charlotte Ainley, Adam Roberts, Calum Ewan Cameron, David Hinton-Gale and Toby Joyce. 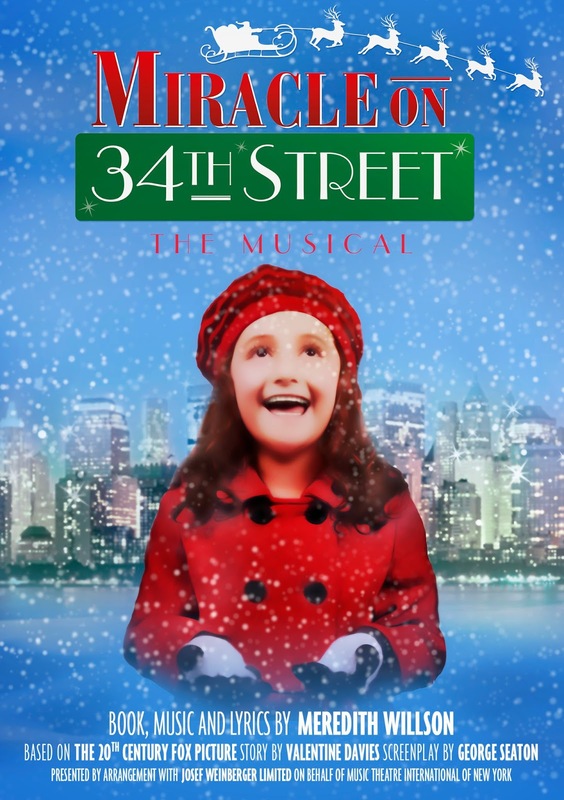 Miracle on 34th Street will be directed by Paul Taylor Mills with choreography by Richard Jones. Paul Taylor-Mills’ directing credits include the European Premiere of Bare at the Union Theatre, A Clockwork Orange and One Flew Over the Cuckoo’s Nest at the Lost Theatre, the European Premiere of My Big Gay Italian Wedding in sold-out seasons Above The Stag, in Edinburgh and at Greenwich Theatre, The Best Little Whorehouse in Texas and Steel Pier at the Union Theatre and Rent at Greenwich Theatre (Winner of Best Regional Production at the BroadwayWorld Awards). Richard Jones’ credits include Bare, Stepping Out, Rent and Stiles and Drewe’s Three Little Pigs (European Premiere), all at Greenwich Theatre, Steel Pier at the Union Theatre and Floyd Collins at Southwark Playhouse. As a performer Richard is currently appearing in The Pajama Game at the Shaftesbury Theatre, with other West End credits including Kiss Me Kate, Crazy For You and Sweet Charity. 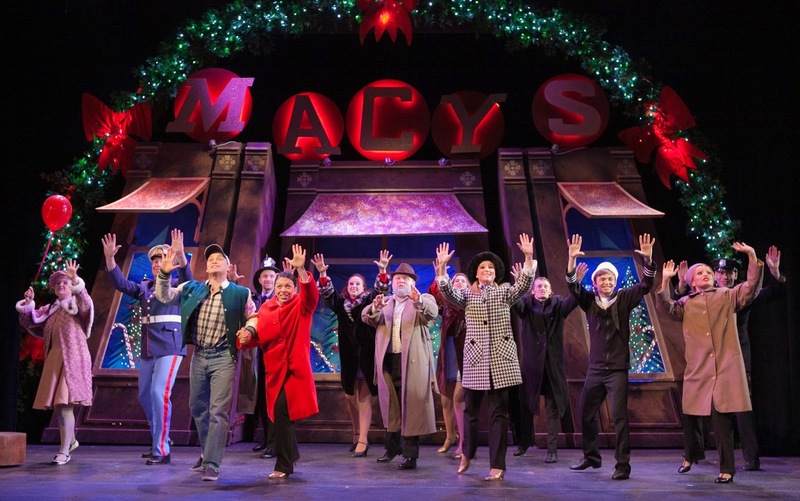 Miracle on 34th Street is directed by Paul Taylor-Mills and choreographed by Richard Jones, with musical direction by Ben Holder and design by David Shields. It is produced by Paul Taylor-Mills Ltd.